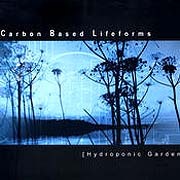 The music on Hydroponic Garden (76'33") by Carbon Based Lifeforms is too sophisticated to be popular; as with all music of this ilk, it does not need the validation of a large audience. The decidedly ambient alter-ego of the Trance genre oriented "Notch", Carbon Based Lifeforms is Johannes Hedberg and Daniel Ringstrom. This duo represents the best of a generation who tells how it feels instead of where it's at. Through the use of the sonic equivalent of primary colors, Hydroponic Garden is a wonderful album of suave propelling rhythms contrasted by vast impassioned timbral planes. Maximum attention to this music is rewarded with a fulfilling comprehension. At the foundation of this album are the deep warm grooves and seductive rhythms that are the hallmarks of IDM. Upon these devices are layered original sonic details: luxuriously sweeping pads, full-throated melodic strokes and modulation laden effects - resulting in an album of fluent and unified music. With moments so realistically painted, the sense of atmosphere is palpable, yet technique never seems to keep the listener outside the narrative of the 11 dreamy and steamy tracks. The music of Carbon Based Lifeforms rises many cuts above much of the so-called Intelligent Dance Music and keeps the intellect searching through the subject matter... while the body nods and throbs to its freewheeling beats and infinite perspectives on pulse. The death of art is self-consciuosness. Hopefully, Carbon Based Lifeforms will carry on under the light of optimism as they have on Hydroponic Garden - and its music to quench our modren yearning for enigma.